"So the user doesn't have to think about multiple controls for the drone and the camera," Benes said. 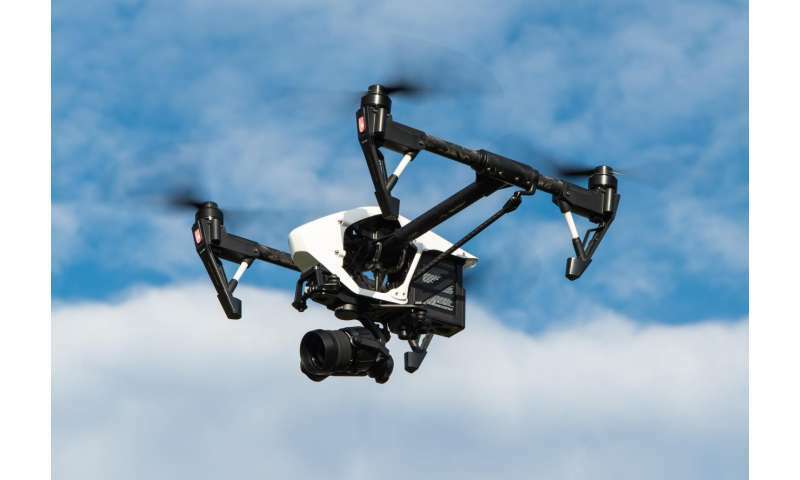 "He or she can think about the drone as a simple three-dimensional flying camera that is being controlled by simple gestures on a touch-screen device." FlyCam uses one- and two-finger drags across a smartphone or tablet to control the drone as it accelerates or turns and takes images. The drone moves forward or backward along the camera's axis with single or double taps to the screen. Traditional, more complicated drone controls utilize dual joysticks for the drone navigation as well as an addditional joystick and gimbal – a pivoted support that allows rotation on a single axis – to control the camera. "We did a user study and most of the users performed with the FlyCam better," Kang said. "It is easier to use just a single simple mobile device compared to combination of cumbersome remote controls." "And the people who have picked up a drone for the first time were equal or better than those who are licensed to fly," Benes said. "That is what actually impressed us the most."